Andrea Keller has worked in international career management for over two decades. She began with a major personnel placement firm in Zurich, Switzerland. She came to the United States in 1995 and joined Thunderbird, where she advanced to Director of Business Development of the Schoolʼs Career Management Center. In November 1998 she joined C.O.I. as its Chief Executive Officer. John Keller has spent half his professional life in the United States and half in Europe. His rich experience includes some 20 years in executive positions in international banking both in the U.S. and abroad, as well as several years in international financial management with a Fortune 500 company (including extensive exposure to Latin America). Erin Henry joined C.O.I. the beginning of 2008 after relocating to Arizona from the Pacific Northwest. She graduated from Oregon State University and spent some 20 years in Portland, Oregon in human resources and the recruiting industry. 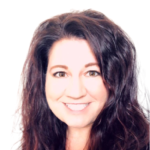 She prides herself on building strong relationships with her customers as well as developing and leading teams of successful recruiters and account executives through the years. Andre Siegenthaler spent 27 years with the Hilti Group in Liechtenstein. He held various Senior Human Resources responsibilities which included Vice President Human Resources International in Liechtenstein, Vice President Human Resources Western Hemisphere and as a member of the Executive Management Group in Tulsa/USA, as well as other senior HR roles. He joined C.O.I. as the Executive Search Business Partner in May, 2009. 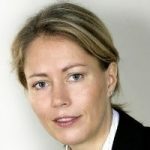 Anna-Karin Birrell is an Executive Search Business Partner for our Zurich branch. Anna-Karin brings extensive experience as an HR Leader, Executive Search professional and in earlier years, as Account Manager. Her roles have been across the manufacturing, automotive, consumer goods and technology industries. Areas of expertise include Talent Management, Change Management and Succession Planning, as well as building a successful practice for an executive search firm in Sweden. She holds a Master’s in Business and Economics from Uppsala University in her native country of Sweden. Ildikó Mueller-Kovacs brings an extensive background in Human Resources, Coaching, Leadership, and Organizational Development. Ildiko has worked with many leading international organizations in Europe, North America and Asia in various industries including Banking, Information Technology, Pharmaceuticals/Biotech, Automotive and Retail. 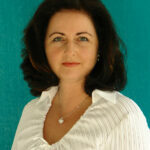 Ildiko is a Qualified Administrator of the Myers-Briggs Type Indicator Instrument. She has over ten yearsʼ of experience in management within various blue chip organizations in Switzerland. Rowena McAllister brings to C.O.I. over 20 years of experience in international market research, administration, and marketing support. Born and raised in the U.K., Rowena began her career in export development with the U.K. Chamber of Commerce movement, leading commercial trade missions to Hungary, Belgium, and Portugal and providing support services to companies in their export efforts. Rowena speaks three languages and holds a Bachelor of Arts (Dual Honors) degree in French and German from Coventry University in the U.K.
Denise Smith joined C.O.I. in July 2012 as a research specialist. Denise has over ten years of experience in communications and building valuable customer relationships. Originally from Singapore, Denise brings a strong understanding of U.S. and Asia Pacific markets, having advised clients at various levels of management. 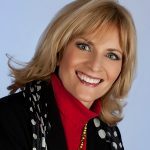 Denise has a Bachelor of Arts in Professional Communication from the Royal Melbourne Institute of Technology University (Australia), and an MBA from the University of Phoenix. Emily Davies comes from an extensive background in management and recruiting from one of the largest providers of higher education in the United States. Through her experiences, Emily has developed a knack for identifying a candidate’s potential career opportunities and key characteristics needed in successful corporate employees. Her passion is building mutually beneficial business relationships with people from all over the world. Emily has a Bachelor’s Degree from the University of Arizona Eller School of Management in Business Administration. 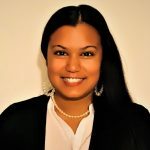 Piyali Fordham has over 10 years of experience in relationship management. She began her career as a Customer Service Specialist at Aflac, a large corporate insurance company. 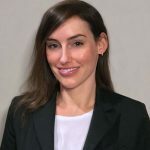 She has also worked as an Assistant Director of Admissions at the Art Institute of Tucson and previously as the Senior Recruiter at All About People, she gained valuable skills in interviewing, staffing and recruiting. She specializes in discovering an individual’s talent, and matching candidates up with the right career field that best utilizes their strengths. Piyali has a Bachelor’s Degree in Philosophy, Politics & Law from Binghamton University in Upstate New York. Sandra joined C.O.I. in March 2019 as Manager of Finance and Administration. Sandra has over twelve years of experience in accounting and finance management and over eighteen years of experience in operations and administration management. She is an Illinois transplant who moved to Arizona to attend Arizona State University. Upon graduation, she made Arizona her home. Sandra was born with a natural entrepreneurial spirit who whole-heartedly gives herself to each and everything she touches. She loves to work in all areas of a company to ensure quality and success are being met by streamlining operations, decreasing costs, promoting efficiency and boosting employee morale. Dr. Karen S. Walch, associate professor and consultant at Thunderbird School of Global Management, has an academic background in international negotiation, cultural competencies, and political economy. She has several decades of experience in various business and academic contexts, including insurance, law, tourism, aquaculture, security studies, and MBA graduate education. Karen pursued a Ph.D. in international political economy and negotiation at the University of Wisconsin while working in business, political, and legal settings. Markus is part of the C.O.I. Advisory Board. He commenced his career in finance with the leading global apparel company Bally, rising to CFO in the USA before joining Holcim as a Senior VP. 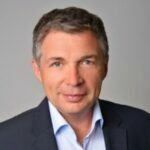 His company was the first SAP-certified company offering an HR Business Process Outsourcing Solution in Africa and managed close to 150,000 employees for multinational companies at the time Markus sold the company. Educated in Switzerland with an undergraduate degree from the University of St Gallen, Markus has an MBA and an AMP from the top-rated INSEAD and speaks 5 languages. Chris Litherland is an Organization Effectiveness Consultant, Executive Coach, Business Advisor, and the founder of Mariposa Consulting International. Chris specializes in: Organization Effectiveness & Change Management, Executive Coaching & Development, HR Excellence programs, and Business Advisory support. For over 25 years, he held senior HR leadership roles at several major technology companies. 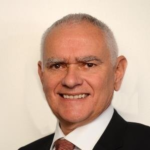 He is a graduate of Sheffield Hallam University with a degree in Environmental Studies, a Chartered Fellow of the CIPD, SHRM-SCP certified, a former member of SHRM’s Global Advisory Board and a founding member of their Leadership Board in Austria & Germany. Chris is also a member of the Workforce Intelligence Board. Alain, is the General Manager of C.O.I.ʼs Zurich office. He received his practical education in business and real estate administration over a five year period under a scholarship provided by the Swiss Authorities to its Employees while working as an Administrator in the Finance Department of the Canton of Zurich. He holds a CPA license in Switzerland and has extensive experience in accounting and audit. Dr. Christoph A. von Arb is the Founder and President of ‘International Initiatives Inc. – TRIPLEYEʼ, a Swiss based consulting firm. In 1990 he joined the Embassy of Switzerland in Washington, DC as Counselor for Science and Technology and later was appointed Head of International Affairs, Office of the State Secretary for Education and Research. From 2002 to 2008, Dr. von Arb served as Consul General and Director of the first Scientific Consulate of Switzerland, Swissnex Boston in Cambridge, MA, USA. He has served on the Scientific Board of Virginia Bioinformatics Institute, as well as the Swiss American Chamber of Commerce. Reyad Fezzani has over 21 years of experience as a global energy business executive and a passion for Renewable Energy and Clean Technology. Reyad was raised and educated in the UK, and holds a Masterʼs Degree in Chemical Engineering and Chemical Technology from Imperial College, London. He has worked in Asia, Europe, North Africa, and the United States. Reyadʼs Specialties include: Renewable and Alternative Energies (including Solar, Wind, Biofuels and Biochemcials), Oil Products Refining, Marketing and Petrochemicals, Oil Supply Trading and Logistics, Oil and Gas Exploration & Production, Mergers & Acquisitions. During Warren Turskiʼs 35-year career at General Motors, he has facilitated hundreds of workshops with measurable results. One of his core competencies is performance management development and execution for large-scale complex programs and processes. He has experience in leading global teams to drive performance improvements using metrics and highly-visible focused communications.